I would definitely recommend Doug to anyone looking to buy or sell a home. He is attentive, knowledgeable, and very professional. Doug stayed in constant contact, always updating me with any information pertaining to my home, whether positive or negative. His honesty was appreciated! Doug was always available and his replies were prompt, even after hours. He made recommendations, which I followed, and sold my home. I am very satisfied with the service Doug provided and would not hesitate to call him when I am ready to purchase again. Please use Yien and his team for the real estate needs that you have. You will not be disappointed. Yien and his team especially Heather are professional, knowledgeable, and provides the highest customer service. Yien handled my property sale perfectly. I live in south Florida, the property is in Orlando. I never had to travel to Orlando to execute the sale. Yien coordinated with the contractors as well to refresh the property and successfully handled a challenge resolving the issue satisfactorily. So if you want the best of class in service and professionalism use the Yao Team. The property sold on the listing day for full price due to Yien’s efforts. We listed our home through The Yao Team. We had a few setbacks along the way, but nothing Yien could not handle and smooth out. Yien and Alysa were so supportive and knowledgeable it made the whole process run smoothly. Also, Heather, their assistant, was always there to answer questions and guide us in the process. We would not hesitate to recommend The Yao Team for either buying your home or listing your home for your next adventures! The Yao Team has done a great job in selling our home very QUICKLY & this is because, We feel, of the 2 things they did better than any Realtors we’ve used in the past. First….their PICTURES of the inside & outside of the home were the most POSITIVE & REALISTIC presentation of Our Home whether one was looking at it online or in person. This was due to the PROFESSIONAL pictutre taking & presentation that Yien Yao & his assistant (Heather) did in getting the Home ready to sell. Second….During the sale, their assistant (Heather Rufer) did an excellent job of telling us what we needed to do (Major/Minor) during each Step of the Sale (Achieve Contract..Escrow Deposit..Pass Inspection..Pass Appraisal..Loan Approval/Title Commitment..Clear-to-close..& Closing) until it was completed. This made the stress of selling our Home a smooth & stress-free situation & we can’t THANK THEM ENOUGH for making it all happen. If anyone is looking to Buy or Sell a home in Orlando check out the YAO TEAM. They’ll do a great job for YOU!! If you select this Real Estate Team, you will not regret it. They were very professional when I met with them to talk about putting my home on the market. They sent a specialist out to my home to help stage it to get it sold fast. I had 5 showings scheduled the first day it went on the market and it sold that same day! They kept in touch with me throughout the closing process from start to finish and were available anytime I had a question about anything. Got answers the same day. I highly recommend them to anyone wanting to sell or buy a home. If you want polished professional realtors who will provide exceptional service and outstanding communication, just hire Yien and Alysa Yao. Then sit back and relax as they work to find you the perfect house or sell your current residence. Having bought and sold 8 houses, we can say with confidence that if ever need to do so in the future, Yien and Alysa will be handling our properties. Yien and Alysa are amazing. I cannot imagine s better experience. Every single detail and question were expertly handled with communication, guidance and feedback. They secured top dollar and kept the transaction together when the inexperience of the other side could have jeopardized a win win for both sides. While they may have equals, there is no one better. Yien and his team were amazing at helping me sell my home. I relocated for work and Yien was so responsive and professional that what could have been a very stressful remote sale of my home became one of the easiest things of the move. By the time I was involved in anything they were ready with options, information, and recommendations on how to proceed. They were proactive with updates on every step of the process and I felt no uncertainty about what was next. I highly recommend Yien and his team. The Yao’s help us sell our previous home. They were outstanding. They are extremely knowledgeable, professional and honest. I am continuous impressed with their knowledge. I would definitely recommend them and I would use them in the future. In a few short words, the Yao team is the best!! I had a terrible past experience with realtors, but this time having the Yao team made a whole difference, Yien is probably the most experienced and customer oriented realtor I have ever deal with, I was in a particular situation to sell and buy my new house and he was the right person, he took my case and detailed explained what have to be done, He sold my house in 1 day and We were under contract on my new house the next day, both houses closed without any issues, Alysa was so helpful, always ready and promptly answering my questions. The whole team made a superb job!! I don’t plan to ever move again, but if I change my mind in the future, I’ll most definitely call The Yao Team. Excellent team, we will use them again. Our home was under contract in just 4 days. The process was great and they are really organized. Heather, the assistant, was great on keeping us informed. This is the second home we have listed with Yien and Alysa. They are amazing to work with. They found people to get our house in shape to be sold and those people were excellent and reasonably priced. They sold our house in two days for more than the asking price! We have referred friends to them and our friends were also pleased with their professionalism and the resulting sale. Yien and Alysa surpassed my expectations on all levels. We had a contract on our house in 3 days. Their expertise and professionalism were only matched by their friendliness and courtesy. I would highly recommend them. Yien Yao was recommended to me in 2010 just before I moved away from my home in Florida. The market was suffering greatly so there was no way I could sell my house, but I knew that would ultimately be my goal. Yien kept in touch with me for SIX YEARS. We would exchange personal emails once or twice a year and he would send me quarterly updates on the Orlando real-estate market. I had my house rented and the lease was scheduled to end on May 31, 2016, so Yien and I scheduled to meet at the home on June 1st. Based on his recommendations, I spent the next few days fixing up the house. After Alysa staged the home and photographed it, they listed the house on June 6 and Yien negotiated a FULL PRICE offer within 24 hours of the listing going public. On top of that, Yien and his team (Alysa and Kimberly) walked me through the entire closing process, assisted me with finding people to fix up the few minor repairs that were needed after the inspection, and helped me CLOSE a week sooner than I was expecting. Yien, Alyssa, and Kimberly were SO attentive to my needs I felt like I had family members helping me sell my home. I am sincerely grateful to the entire team, but in particular to Yien for having patience with me and treating me like a long-distance relative for six years, despite having never met me in person and having zero assurance I would ever sell through his agency. Every realtor should aspire to this level of commitment and service. Just a little background on our situation… My wife and I moved to Los Angeles from Orlando about 2 years ago. We have been renting our Orlando house to some friends, who decided to move out at the end of September. At that point my wife and I decided to put the house on the market and we engaged a realtor who proved to be… let’s just say, less than responsive. When we decided to part ways with that realtor, we were a month into the listing and carrying our Orlando mortgage and our LA rent with no end in sight! In steps the Yao team! From the beginning I was understandably a bit gun shy with a new realtor. We needed to get the house off the books ASAP all while doing everything from 2,500 miles away. Yien and his team very quickly put my mind at ease. They realized my irrational need for CONSTANT contact and they provided immediate response to all of my communications. The team held my hand through all of the steps in the process. Within the first month back on the market with the Yao team we had received 3 offers… 3 more than the previous realtor was able to get (all told we ended up with 6 total offers on the home)! We continued to work with Yien and his team to negotiate a fair price for the home and finally went under contract right before the Christmas season. Yien and his team continued to work diligently with us through the holiday and continued the incredible communication right up until the day we closed. I’d recommend the Yao team to anyone looking to buy or sell a home in Orlando. I only wish the Yao team could help me to buy a home here in LA!!! Times have changed since I bought and sold my home 11 years ago. Brokers need to be more savvy then ever, especially when it comes to computer literacy. The Yao Team understands the ever changing Orlando market, the tools needed to sell a home, and how to effectively stage a home. They are professional and detail oriented. I have been in the real estate business for over 20 years and yet to meet a better brokerage team. I appreciate the incredible service you provided me in selling my home in Orlando, FL. I am grateful to have sold my home in less than 30 days, at a great price, in this difficult marketplace. Moving is a very stressful event. From the beginning, I was impressed with your diligence, especially the process by which you got certified to work with Sirva Relocation. In fact, my account manager with Sirva, Kyle Gustafson, was overly impressed with the market review and analysis you provided him. Moreover, my move was even more complex since I was relocating to Ohio along with my children & ex-wife. The dynamics of this situation added more emotional pressure to my move. Throughout the process, your team provided me timely follow-up, expert guidance and tremendous customer service, easing my anxieties and providing for a very rewarding experience. Being in the employment business, I deal with relocation vendors and a variety of other vendors on a consistent basis. Very rarely do I feel that I receive extraordinary service. However, in the case of my move, the Yao Team was EXTRAORDINARY. And for that, THANK YOU! We selected the Yao Team to help us with both buying and selling. As soon as we were under contract to buy our new house, our focus shifted to selling. We had already talked with Yien about price ranges, strategy for selling (such as staging, repairs, etc. ), so we were off to a good start. But, when it was time, he stepped in and really took the lead. 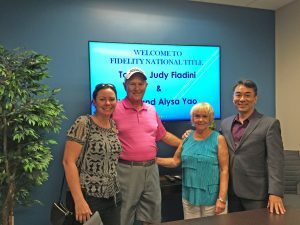 Because The Yao Team was working with us on both the purchase of our new home and selling our old home, we were able to perfectly coordinate timing. Yien gave us solid advice on when to do what to protect ourselves but achieve maximum benefit. We listed our house and immediately had solid offers come in. Yien’s knowledge and experience in selling properties was very apparent as he thoroughly reviewed all offers and brought up all the pros and cons of each one. We encountered very unexpected circumstances when the buyers financing was denied ONE day before closing! (Who could have imagined this!) But, Yien was so supportive and optimistic through the whole process. We immediately relisted the house and had multiple offers come in again. It would take a short book to write all of the crazy and out-of-the-ordinary things we encountered throughout the process of selling, but the entire Yao Team met every challenge head on and with confidence. Yien is a power house in real estate and gave us so much good solid advice along the way – we really cannot imagine someone better. In the end, we were very happy with our sale price and the process went smoothly. We are very thankful for Yien, Alysa and Krystal, and would highly recommend them to anyone. We cannot begin to thank you enough for your professionalism, enthusiasm and support during the sale of our home in quite possibly the worst downturn the real-estate market has seen in 20 years. Of all the realtors we interviewed, you brought the most detailed market analysis, assessment of the property, marketing plan and pricing strategy – we were so impressed – and that was our first meeting. Your team never failed to impress with their promotion of our home using the latest technology, marketing collateral and personal relationships. Thanks to your efforts, we saw significant traffic on the web and through our home. Despite having two buyers renege at the last possible moment, seemingly crushing our hopes of selling, Yien remained calm and magically paired us with a third buyer, within 24 hours of the second cancellation, and brokered the deal that left both parties quite pleased. Simply amazing! The Yao Team’s depth of knowledge of the national and local real-estate markets is remarkable, your contacts impressive and your professional advice spot on. Your frankness and preparation to tackle the current market conditions and your assessment of our ability to sell assured us that we were dealing with professionals and that you would sell our home. We’d like to think that our family received “special treatment”, but I believe that The Yao Team treats all its clients with the warmth, personal attention and professional business preparation that we received. We couldn’t have asked for a better partner. It is my privilege and opportunity to recommend Yien Yao to you. I have known Yien for several years and have had many business dealings with him. He was the agent for the sale of my mother’s home in Florida after she passed away and handled the matter in a highly professional and efficient manner. The entire transaction was smooth and effortless for me because of the exceptional service provided by Yien. I have always found Yien to be bright, articulate and extremely honest in all of his business and social dealings. He is pleasure to work with and has a consistently cheerful disposition. I believe that he will be an excellent asset to you and I highly recommend him. Please do not hesitate to call should you have any questions or need any further information regarding this matter. First to note, I live out of town. Yien was recommended to us from our friend that used him to quickly sell their home, he was initially recommended by our local real estate agent to our friend. Yien from the start was extremely helpful. He stopped by my rental home (11 years without much repair and maintenance) and provided me with straight forward advice on what he believed needed to be repaired and painted prior to listing the house to have the best chance to sell at the best selling price. It took me several weeks to get it done, between myself and through a suggested contractor he recommended (worked out well). So I signed the listing contract. The pictures he took of the house showcased the house extremely well. We had an offer the next day, and with two other offers in waiting. The first offer fell through within a few days; Yien helped negotiate the next 2 competing offers. The second offer we accepted at $1,000 above the listing price. The entire transaction from signing the contract to closing with the proceeds in the bank was one month. We were delighted. We were able to do all the paper work and closing by email with Yien and his Team efficiently sending us the documents to sign online and the final document sent by FedEx to the closing agent. All simple and painless. I would certainly recommend Yien and his Team to those wanting a professional and knowledgeable Team to help advise, showcase, negotiate, sell, and close on their home. I highly recommend Yien and the Yao team. I have bought and sold property in East Orlando using several realtors over the years. Yien and his team were by far the most professional, courteous, and accurately knowledgeable realtor team I encountered. I listed a home with Yien earlier this year. The listing was so beautifully done, offers came in immediately. Unfortunately, we ran into title issues and the home was subsequently de-listed for several months. Eventually, we were able to re-list the home, and the offers came in right away, again. Even though it took longer than expected to sell, and the home had to be marketed twice, Yien and his team continued to work hard and remained motivated and professional throughout the title delay. I should add I no longer live in FL, and I have not yet had the pleasure of meeting Yien and his team. To have such a favorable and trustworthy experience with a realtor team I have never met in person speaks for itself. If you have to buy or sell property in Orlando, and especially if you need a realtor you can trust because you don’t live there, you should work with no one but the Yao team. Working with the Yao team was one of the best experiences I have had with real estate transactions. During the initial consultation, Yien had carefully prepared and researched market conditions of my area. He was very honest about the very tough market conditions, and what it would require on my part. After listing the property, the Yao team constantly worked on new strategies to find buyers, and actively pursued sales lead. After receiving offers on the property, Yien carefully reviewed buyers contract to see if that would actually result in closing, and negotiated to get the most money for our house. During the closing process, Yien remained in close contract with the buyer’s agent and kept us continuously updated. I have worked with several agents before but none with so much professionalism, articulation, and knowledge. The Yao Team is certainly one of the finest real estate teams in Central Florida, and I want to thank them for all their hard work and dedication. The Yao Team works seamlessly together to help their clients. We sold our home of 18 years quickly, for more than our asking price, and to a cash buyer. Their skills in negotiation surpass all others. They walked us through every detail, step by step with cheerfulness and integrity. I highly recommend them! I am a retired attorney and have bought and sold over two dozen properties in the last 40 years. I have worked with many brokers and salespeople over the years, and Yien and his team were the best that I have ever used. He sold my old home in 23 hours after he found me a new home to buy! On top of it all, he and his wife are genuinely nice people! If I were still in working mode, I would love to have them on my team! The Yao Team was very helpful to me in selling my home. They gave us very good advice on pricing, staging, and negotiating the sale price. They were always very friendly and courteous to us. My experience selling and buying with the Yao team was excellent! They provided documented information about the local real estate market which was very helpful in determining our sale price. In addition they provided (at no cost to us) a staging designer whose recommendations helped our home look like a designer model. I believe their marketing strategies facilitated our fast sale at full asking price! I would recommend the Yao team to family and friends without any hesitancy. Alysa came recommend from dear friends, that was a plus. I was so impressed by the way she staged my home! Everyone was! Looked like a model home, when it was an 11 year old townhome. It sold in about a month or so even with the slow market at the time. She was realistic with us about pricing and comparables. I would definitely recommend her friendly and professional services! 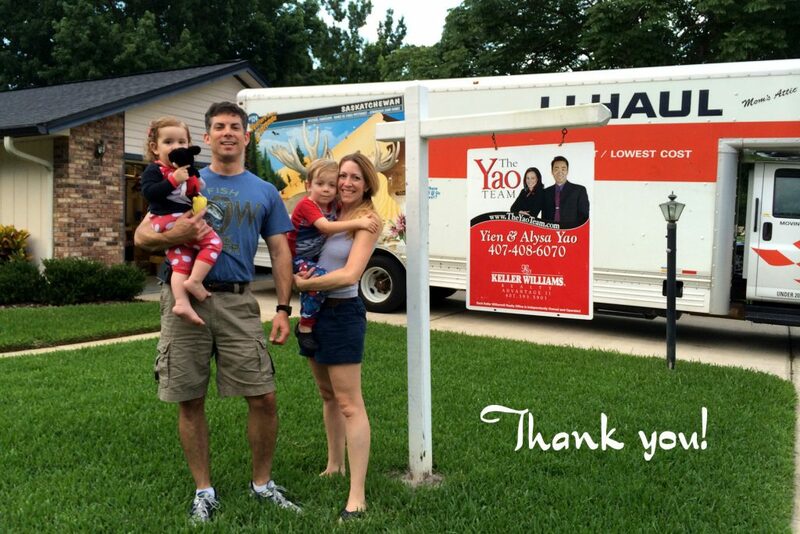 Yien, Alysa, and the entire Yao Team have assisted us on several real estate transactions both buying and selling. One of the transactions I would consider “tricky ” as it involved an older home. The team worked very well together resulting in favorable deals for us. We have also referred The Yao Team to friends and family which resulted in the same positive results. The team is professional, knowledgeable and friendly. All closings have also gone very smoothly as you are advised every step of the way. I highly recommend the Yao Team for your real estate needs. This is an amazing team to work with. They go above and beyond to help sell your home. I would highly recommend them to everyone! They have a vested interest in the area as they are residents themselves. You could not ask for more. What a wonderful experience I had with Yien & Alysa Yao. They were the second realtor I used to sell my house and what a huge difference in service. They sold my house with a full price offer in 2 weeks. So wish I used them first. They were very attentive to all my issues. I highly recommend them both. We worked with the Yao team to both sell and purchase our homes. We were very impressed with the entire team and how attentive they were to our needs and goals. Although it was a stressful time, they made the process as easy and simplistic for us as possible. We used the Yao team to sell our home. They were extremely helpful, kind, responsive, and knowledgeable. The house closed a little higher as expected and in record time. Their suggestions for the staging and minor improvements were key in making the sale successful. Not only do they do an amazing job at buying and selling homes, but they also give back to their community. Yien and Alysa were superb in the purchase of our home. They helped us sell our home in a week and also worked thru swift negotiations on getting our new home bought quickly and seamlessly. If you want to sell or buy a home and not sweat every detail these are your agents!! Yien, Alysa and their team are exceptional at what they do! They are extremely knowledgeable about all aspects of real estate. They have such a perfect partnership and helped us tremendously to prepare our property for the listing. After we placed the property on the market we received an offer much quicker than anticipated. I was extremely satisfied with their service all around! Thanks to the Yao Team for your wonderful service! Yien & Alysa Yao are the most professional people you would want to sell your home. Selling a home can be a stressful time, but the Yao Team will take all that stress and worry completely away. We would highly recommend them to anyone wanting to sell their home. The Yao Team was great. They made selling our home a more pleasant experience than I ever thought it would be. Their knowledge of the market was extremely helpful. They are very Professional and customer focused. I have recommended the Yao team to several of my friends and they too were equally impressed. Everyone loved their friendliness and would surely use them again in the future. Thank You Yao Team. Mr. Yao is not your average realtor, he is in a league of his own. In our dealings with him, we found him to be extremely professional and competent. He is an insightful negotiator and made sure that our interests were protected. We highly recommend him as a seller’s agent. This team was outstanding! Alysa was wonderful to work with and was very responsive to any of our questions and needs. I would 100% recommend them to anyone looking to buy or sell a home in the Orlando area. Yien and Alysa were great partners in selling my house and took care of almost everything. Their knowledge of the market and pragmatic view were quite valuable in establishing my price and understanding demand. Yien and Alysa Yao helped us with a very long and complicated real estate transaction. Throughout the lengthy process, they were both patient, knowledgeable and very supportive. There availability was impressive – it appears they work around the clock! I most appreciate the up-to-date real estate, negotiation, contract and legal knowledge Yien shared with us as well as the endless support, encouragement and patience from Alysa. They are a wonderful team and our transactions were only successful because of their diligent and professional service. The Yao Team was recommended to us by friends. Thank you very much for the fast and very convenient selling of our house and the friendly support from a far distance. Many thanks from Germany! Yien & Alysa helped us sell the third investment property in 2016. As always, the selling process was so smooth. Their promptness, local knowledge, and professional skills remain unparallel. We’ll surely continue to retain their services for our future real estate investment businesses. I have known Yien from High School and knew him to be one of the brightest students in our class. We reconnected at reunions and when I was considering the sale of my property I called on him to get his assessment of the real estate market. He explained to me very well how he came to his recommendations using market data and set very realistic expectations. He and Alysa presented my property with professional quality pictures and description to match on many websites as a featured listing. Yien’s assistant Kimberly handled several showings and coordinated all the appointments. She did this with my tenant and was able to work with several schedules at once. The final offer was well within expectations and every step until closing was prepared in advanced. Yien and his team were proactive in communicating updates and just as quick to return calls and answer questions. I am very pleased with the outcome. Yien and Alysa Yao are definitely the most professional real estate agents I have had the pleasure and I do mean pleasure of working with. They were honest, sincere, hard working on my behalf and above all have what I consider the most important character trait: INTEGRITY….I recommend them to anyone who wants to sell their home at a fair price and in an expedient amount of time. Yien and Alysa Yao were wonderful to work with. Yien and Alysa were at our home within hours of my contact through Zillow. We listed the house with them a week later after lots of staging and more packing. The home was sold three days later. Thank You! If you are looking for the most knowledgeable, professional, kind and enthusiastic real estate professionals to assist you with your home…do not waste time – call The Yao team ASAP!! My home was listed on a Tuesday and under contract by Saturday. The closing process happened without a single delaying issue and closed within 45-days. The entire Yao team is extraordinary and go above and beyond…and then some…to ensure a smooth transaction and transition for all parties. Yien Yao, Alysa Yao and team are highly professional and knowledgeable realtors in Orlando, FL. They did a great job in every way from understanding the market, pricing, photos, description, fast communication and more. We had unique situation of selling our home while overseas that added different challenges. It was a large effort on everyone to fully execute the contract in a timely and flawless manner. On top of everything, we sold our house for full price in record time. We are very happy with the service provided by the Yao Team. We highly recommend them whether if you are buying or selling. Helpful and willing to offer suggestions in selling home. Researched the area and local market. Kept us up to date on showings and reviews. Offered suggestions for “staging” home for quick sale. Qualified potential buyers and scheduled showings at our convenience. Thanks to the instruction and expertise of the Yao team, we sold our house in less than 48 hours for more than our asking price. The guidance and support we received from them was amazing. Their use of online document signing and email made the whole process easy for my wife and I, who both work full time jobs, to not have any time missed from work. Everything was explained to us, we were real estate novices who had never sold a house before and there were no hidden fees or hoops to jump through. Our only regret is that they aren’t in the area we are moving to, we’d love to use them again! Very efficient and knowledgeable. very helpful and nice. he is a person you can trust. The selling and closing is very smooth. I am very satisfied. We highly recommend Mr. Yao to those remote owners. Best agent team I have come across. They are really professional and through. They really worked hard for us to help us sell a home for the best price and also to get us in the right home when it was time for habit buy. Yien and Alysa are a great team. Their knowledge and expertise of the market, together with their negotiation skills allowed me to sell our home within 1 week and at full asking price. But not only this, they also went above and beyond to help ease the transition to be as smooth as possible. They are hard working and caring and I would not hesitate to recommend them as the ideal agents for both sellers and buyers. Very pleased with the Yao Team. Regional market experts will help you understand the market. They will do their best to sell your home even in a down market. The Yao Team is excellent in all aspects. They are very knowledgeable, professional and responsive. Yien did thorough market analysis and provided periodic market updates. We were sellers, and the team proves to be very effective. Yien is an expert negotiator, transaction facilitator, real estate instructor. He saved us all the hassles, and he made the process as painless as possible. Alysa contributed valuable feed backs to the house upgrade and preparedness before the official listing and afterwards. We strongly recommend Yien and Alysa for all your real estate service. One of my close friends was very satisfied with Yien and the team, and that was how we learned about Yien and Alysa. It would be neglect if not mentioning Krystal, his excellent assistant. She is always there to assist us with paper works and appointment arrangements. Yien and the team, we appreciate your professionalism and expertise. We will definitely have your team for our future real estate need. When deciding to sell our house in Stoneybrook East, we decided to go with the YAO team due to the newsletters that we had received in the mail. These newsletters are sent to the residents of the neighborhood with information about recent home sales and homes for sale in the area. We looked forward to reading these when they were sent out as a second confirmation of the market conditions. After contacting the Yao team, Yien and Alysa met with my wife and gave an estimate value of our house that matched our expectations. Before our house was listed, they provided recommendations on staging and took lots of great pictures that really showcased our home. This helped interest in the property greatly; with showings just hours after being listed. Throughout the showings the Yao team worked very closely with my wife and were very professional, even alerting her when other Realtors were running a few minutes late. Communication through email, phone and text messages were very open and we felt very comfortable with the entire process. We were able to select an offer that provided over our initial value with closing dates and conditions that were in our best interest. I would highly recommend using the Yao team for any transactions in the future. The professionalism and kindness that this team gave throughout the selling process was superb! Yien did an outstanding job at helping us list our home, provide market information and working with the buy on closing. His team pays attention to the details. I can’t say enough good things about Yien and Alysa and their team, including Krystal. Their attention to detail is so impeccable that they are consistently one step ahead of the process. Communication, which is so key and important during a real estate transaction, is prompt and nearly immediate, both with phone calls and email responses. Additionally, because of the way their team has been created, there is always someone available to assist. We both bought our home from the Yao Team and sold it upon our relocation to Virginia and the entire transaction was smooth and simple. The expert advice given when it came to pricing our home for sale was spot on and the professional assistance with staging our home was welcomed. We would highly recommend Yien and Alysa to anyone in the area needing amazing service and start-to-finish brilliant customer service. The YAO’s were able to sell our house much faster than I expected. Yien is a solid photographer and his photos brought over 14,000 views to our ad the first week! Needless to say, those hits translated to showings, and ultimately a sale. Yien was great about keeping us up to do with buyers and working the showing around our busy schedule. If you are selling a home, you need to use Yien Yao. Yien helped me sell my home a few years back. I feel like I received the best possible representation and the price I realized for my home was higher than what I was anticipating. Yien’s knowledge of the local market allowed me to make the best decision possible for my daughter and I. Thanks Yien! I could not offer a stronger recommendation for using this team. The process of listing, marketing and ultimately closing on the home was as painless as could be. I sold my home in Orlando with the Yao Team. The experience was fantastic, beyond my normal realtor expectations. Yein was very knowledgable about the local market, provided my wife and I excellent advise and we ended in contract within two weeks and sold the house at list price. I would definitely use The Yao Team again for my next real estate purchase or sale. Yein, Alysa and Krystal ….. Thank you very much! I was in the process of losing my home to foreclosure when I talked with the Yao Team, Yien and Alysa. They worked tirelessly with me in all aspects of selling my house at short sell. They are the most knowledgeable realtors I have ever dealt with in my life and I have dealt with others. They work like a well oiled machine in their efforts to give you the best service and results you can achieve. However, the thing that is most impressive about them is that they are truly wonderful people who care about you and your given situation. They make things happen and you never question their efforts or expertise. You simply cannot do better than Yien and Alysa Yao. They will never mislead you and will get the very best results for you in every way possible. I bought and later sold my first home with Yien. He’s AMAZING!!! Yien is very patient, detail-oriented, responds immediately, and of course, provides excellent knowledge and education of the market and the entire buying/selling process. He negotiated the sale of my house while I was living way across the country, and made it seem effortless. He’s the only realtor I will ever use. I highly recommend him! I was recommended by someone to use Yien and Alysa to sell our house in a difficult market back in 2008. We enjoyed working with them so much because of their professionalism, responsiveness, knowledge of the market and, most importantly, they are genuinely great people that we decided to use them again to buy a house in 2010-2011. So in the first case, their knowledge of the market helped us sell our house quickly in a terrible market but avoid selling for a low price. In the second case, they helped us purchase a short-sale house and ensured we didn’t pay more than the market value when the banks were fighting for more. No doubt who we will use if we decided to sell this house! The Yao Team did an EXCELLENT job 2 times by helping us sell our properties. The 2nd time was the most excellent job ever. They treated us like their own family. We would recommend this team to anybody. We would like to especially thank Yien, once again thanks for the excellent job, we appreciate it. Working with Yien Yao to sell our home meant that the experience was profitable, enjoyable, and professional in every way. Having worked with Yien to find and buy our dream home in Orlando, we knew that when it was time to move again, Yien would provide the excellence in Real Estate service that we needed. Our home was sold in record time, for above our asking selling price, and the process was most pleasant. Yien Yao is certainly the most professional, dependable, and exceptional Realtor around! Medhat A. and Nan T.
From the beginning to the end of this process, Yien and his wife Alysa were nothing but professional, supportive, and informative. They made sure we were involved and understood the entire process while making it easy for us. My husband and I have recommended the Yao Team to other people so they can have the same great experience we did! Thanks so much!